While the mirrorless cameras are becoming all the rage these days, with more of them being released with every few months and with every major manufacturer having at least one very good product that is able to make a big impact on the market, the end of DSLRs (just like compact cameras) is imminent (at least when it comes to the mainstream market). Many people are finding more reasons to buy a smaller camera that will fit in more places and be less cumbersome to use (rather than an entry-level but still bulkier DSLR) and have even started to rely solely on their smartphones for their photography needs (since those have also become very capable of coping with all kinds of tasks related photos and videos). So, we can surely conclude that it’s very hard to sell a DSLR to an average user in 2018 and that does that still insist in buying one are either led by the old idea that a bigger camera means better images (which is still a misconception a lot of people accept as the truth even today) or simply want still valid benefits of having better handling, battery life and lens selection (which is something a lot of casual photographers probably won’t’ bother with). This is where the mid and high-end camera market comes into play to save the day and is still one of those areas where DSLRs have a fighting chance against mirrorless cameras. There’s still a lot of devices from the two of the major brands that are still going strong and are competing fairly well (no matter if they’ve been released in 2018 or couple of years back). The Nikon D7500 may be the best value you’d be able to find when it comes to a prosumer DSLR and this is why it deserves to forego our review treatment (even though it may not be all the rage in now since it was released in 2017). While it’s not as exciting as a lot of flagship cameras we get to play with and that is mentioned frequently in the photography community, it does bring a set of features that make it a very compelling purchase for any enthusiast that doesn’t wish to pay as much money for a high-end camera, but still wants a respectably powerful DSLR. 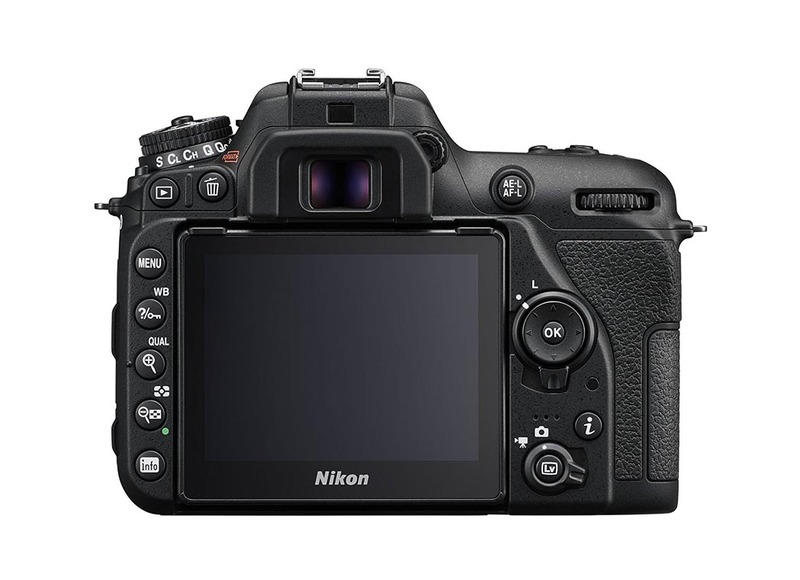 The Nikon D7500 brings the company’s latest APS-C sensor, durable and weather resistant body, very good endurance, 4K video recording, a touch-sensitive screen, 100% accurate viewfinder, advanced AF system, fast burst rate, Wi-Fi and much more. 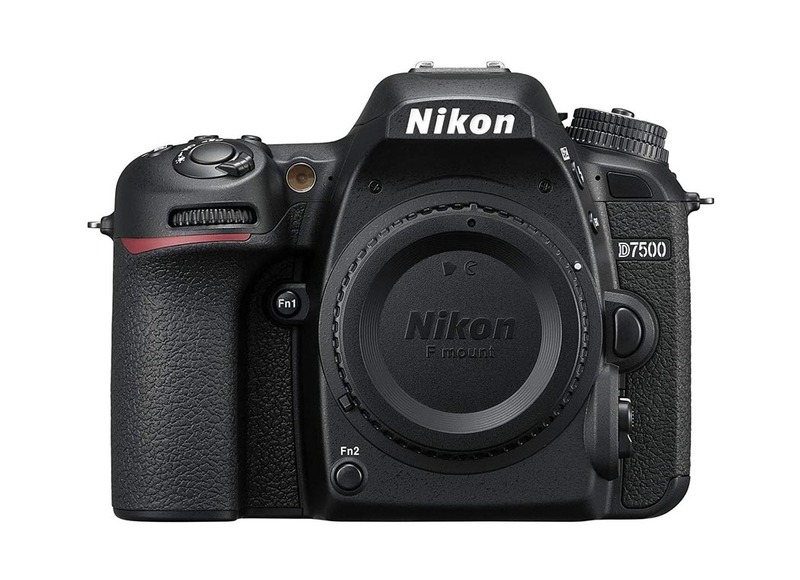 The only thing that could rub some advanced photographers the wrong way is the lack of a dual SD card slot (which is a very strange decision by Nikon considering that those were present on the D7200). If you’re not bothered too much by the lack of that particular functionality (we would certainly advise you to finish reading our review before you decide if the Nikon D7500 is the right camera for you (since it certainly has a lot going for it despite having only one SD card slot). Even without comparing it to any mirrorless cameras currently, present on the market you can already tell that the D7500 is potentially very capable camera in its own right, despite lacking the portability and some other benefits of those types of devices (which is the case with practically all modern mid-range and flagship DSLRs). All in all, we’ve kept you waiting long enough; let us get to work and find out what this camera is really made of. Since it's not rare to see that some features found on higher-end models trickle down those that belong inside the mid-end category than it’s not all that surprising that the Nikon D7500 borrows one of its most important aspects from the Nikon D500, the image sensor. It is the same 20.9-megapixel unit without a low pass filter that was first introduced on the D500 and it aims to bring slightly improved noise performance, the same impressive dynamic range that graced each and every Nikon DSLR for years now and most importantly, less demanding file sizes (hence the smaller resolution) so the performance of the camera could be noticeably improved. It marks a shift in strategy for the company, as they’ve decided to make their best APS-C cameras more attractive to sports and action photographers rather than trying to make them the best all-around devices that could be used for such demanding tasks but aren’t as capable as the best on the market. The D7500 certainly won’t beat its bigger brother when it comes to performance, but it will certainly pose a treat for every other mid-range camera on the market with its excellent image quality and the rest of impressive features that we’re about to mention inside this category of our review. We wouldn’t worry about the reduction in resolution over the usual 24-megapixel sensors found in a lot of Nikon’s DSLRs since most of you won’t notice any reduction in detail worth mentioning while the performance benefits it brings are certainly well worth it. The said sensor is backed up by the very powerful Expeed 5 processor (the same unit which also powers the D500 and the D850 cameras) and also brings a very wide ISO range of 100 – 51200 (expandable to the lowest value of 50 and an insanely high one of 1640000). You’ll also be able to shoot at shutter speeds of up to 1/8000 sec (great for capturing motion or using wide aperture lenses in bright light), work with external flashes at an X sync speed of up to 1/250 sec and also choose between the lossless compressed or 12 or 14 bit compressed RAW formats (giving you the choice to reduce your file sizes and gain more speed without having to switch to JPEG images and throw away the ability to post process your images the way you want to with little hit to overall image quality). While the D7500’s sensor has all the potential to provide you with great looking images even in the most demanding lighting conditions, the decision to include it was primarily made to bring the performance to another level and we it certainly seems that Nikon has succeeded in their intention. The new camera does include the same 51-point phase detect AF system found inside the D7200 but it was already a great system in its own right and will certainly perform even better this time around thanks to it being backed up by a more capable processor and a high-resolution 180k pixel RGB metering sensor which brings improved subject recognition and thus, better focusing performance for things like sports and action. Another thing included on the that makes it looks like a very interesting camera for those seeking a device that will allow them to shoot photos at very fast speeds but don’t possess the budget for something more expensive it the 8 fps burst rate (which is 2 fps more than the shooting speed of the D7200) and a promise of respectably deep buffer depths for both JPEG and RAW files. Another thing you would expect to find on every mid-range camera is great build quality, lots of ways to interact with the camera and a great experience when it comes to composing and viewing your photos and the D7500 takes care of all three of them quite nicely. Its hardware is housed inside a traditional-looking weather sealed magnesium-alloy body that is very reminiscent of every other Nikon DSLR out there (thus, those currently loyal to the brand will feel right at home with this camera, even if they’ve only worked with their entry-level models) and feels as good in a hand as you would expect out of a camera of its type (the protection from the elements is also very appreciated). What’s also included is a nice combination of an optical viewfinder (100% accurate and very large for an APS-C camera thanks to its magnification ratio of 0.94x) and a decently sharp tilting 3.2-inch TFT LCD with a resolution of 922,000 dots (its certainly not the highest resolution screen you’ll ever find on a modern camera, but its perfectly usable for any kind of tasks). We also like the fact that Nikon decided to keep the built-in pop-up flash unit (it’s a very capable one due to its maximum reach of 12 meters) since having more functionality is always a good thing and a lot of people will be satisfied with the type of things they can do without having to invest in an external flash unit. What we don’t like is that they’ve decided to remove the secondary SD card slot and we certainly don’t understand the need for such an omission on a semi-professional camera like the Nikon D7500. Depending on how you approach your workflow it may or may not be a deal breaker for you but considering the fact that this is otherwise a very capable camera in every other regard we won’t invest too much criticism for the lack of only one feature. The rest of the hardware features consist out of the obligatory USB and HDMI ports, microphone and headphone jacks as well as Wi-Fi and Bluetooth LE (the optional Nikon GP-1A GPS accessory is also supported for those people that wish to obtain location data without having to pair their smartphones with the camera). Lastly, let us say a few words about video recording as this is another category in which the Nikon D7500 could potentially be a very decent performer. The reason for that is the inclusion of the aforementioned microphone and headphone jacks, as well as the tilting touchscreen, 4K capture at 30 (albeit with a crop factor of 1.5x) and 1080p capture at 60 fps, electronic 3-axis image stabilization (only for Full HD and lower resolutions though), built-in stereo microphones, Zebra stripes to help you monitor your exposure more easily, Flat Picture profile for those that like to edit their videos on their computers and a few other features. Well, there’s certainly a lot going for the D7500, but as is the case with every review we have to look at the camera as a whole step by step and we will start by looking at its body from every conceivable angle and also by checking out its user interface and wireless capabilities. 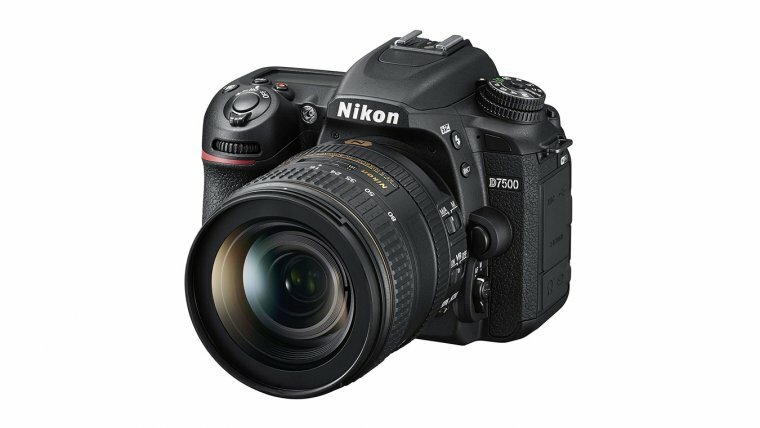 There’s no denying the fact that the Nikon D7500 is one very solidly built camera and fits right within the demands of the category its fits in, which is an enthusiast-oriented product that will evoke the interest of both professional photographers or very dedicated hobbyists that just want to enjoy photography for what it is. It consists of mainly magnesium alloy construction with grippy materials being placed everywhere around the body and allowing for a very secure grip even in the camera becomes wet or dirty (since some of you will certainly use it in more demanding shooting conditions and its good to know that there’s little chance that you’ll drop the camera on any of your adventures). Nikon has also made the front grip deeper and has also added that very useful touchscreen that can be tilted to help you shoot at lower angles or high above you (we do wish that they have taken it one step further and included a fully articulating one but its still an improvement over the D7200 nonetheless). The control scheme is also worthy of praise despite being a pretty standard affair for this type of camera since it offers a button or a dial for almost everything and gives you the choice in deciding whether you wish to operate the D7500 using its physical controls or the touchscreen (there’s certainly a reason to use both of them, with the touchscreen itself being a quieter method of input that will allow you to make your exposure adjustments silently while recording videos). The included optical viewfinder is certainly a pleasure to use and is one of the best you’ll be able to find on a DSLR with an APS-C sensor to this date (Nikon has also added an eye sensor above it, just like the one you’ll find on cameras with electronic viewfinders and it will allow the camera to immediately turn off its LCD screen while you’re holding it to your eye). The additional screen on the top of the body is also something we always like to see and something that we’d like to be included on more mirrorless cameras (since most of them lack this feature). Now, let us check the D7500 from all its angles and see what can exactly be found by some careful examination. The front of the camera holds the sub-command dial, the Fn1 and the Fn2 buttons, the AF-assist illuminator/Self-timer/Red-eye reduction lamp, the lens release button, the Flash and the BKT button, as well as the focus-mode selector accompanied by the AF-mode button. The left side is filled with all the different ports (microphone and headphone jacks, and the USB, HDMI and the accessory ports), while the right side holds the single SD card slot. The bottom of the D7500 is populated by the tripod mount, the power connector and the battery chamber reserved for the EN-EL15a lithium-ion battery pack. The top of the camera holds the main mode dial (together with two custom modes for storing your settings) and the release mode dial (used to help you switch between different drive modes), release mode dial lock release, a hotshoe mount, the movie-record, ISO and the Exposure Compensation buttons, the shutter button coupled with a power switch (it can also be used to turn on the backlight for the control panel LCD) and the top plate secondary monochrome LCD. 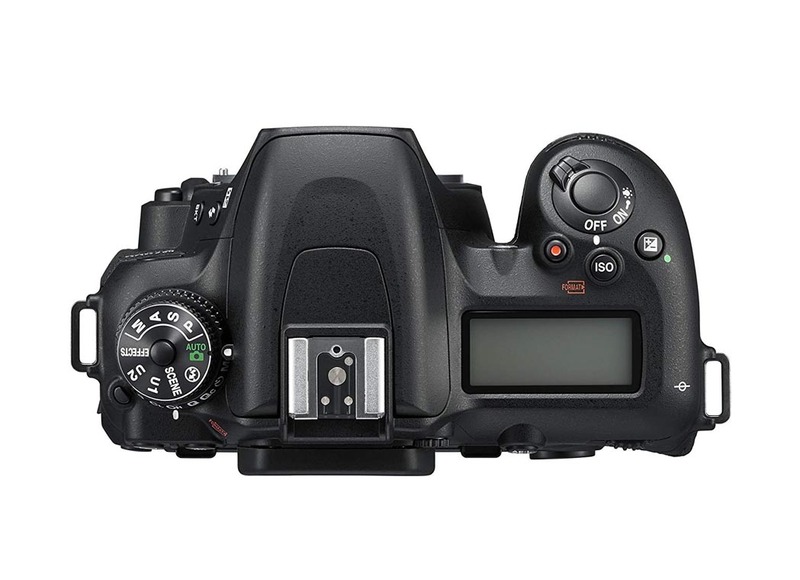 The back of the D7500 also looks very familiar for a Nikon DSLR and features six buttons on the left side (Playback, Delete, Menu, WB, Qual, Metering and the info buttons), the obligatory optical viewfinder and the tilting LCD screen (also the new Eye sensor and the diopter adjustment dial) can be found in the center and the rest of controls including the AE-L/AF-L button, the main command dial, the 8-way navigation controller (with the OK button in its center and the focus selector lock around it), the i button (it opens a list specific items and these are the Choose image area, Frame size/frame rate, Movie quality, Active D-Lighting, Microphone sensitivity, Frequency response, Wind noise reduction, Set Picture Control, Monitor brightness, Multi-selector power aperture, Highlight display, Headphone volume and Electronic VR) and lastly, the Lv button and the live view selector are located on the right side. When it comes to all the customization options besides the already mentioned User Settings the D7500 will also give you the option to fine-tune the behavior of the AF system (from deciding if you wish to allow the camera to take a photo even if the focus is not confirmed, adjusting the sensitivity of focus tracking, to enabling the option to acquire focus with the help of the AF-On button instead of pressing the shutter button halfway), choose how precisely you’ll be able to adjust the ISO or the Exposure Compensation (either in 1/3 or 1/2 steps), change the size of the center-weighted metering area, enable the Electronic front-curtain shutter feature to help eliminate the blur caused by the shutter motion, enable the viewfinder grid display, reprogram the behavior of all the Fn buttons as well as the AE-L/AF-L, BKT and the Movie record buttons (you’ll also be able to pick separate functions for the Fn1, Fn2, AE-L/AF-L and the shutter-release buttons that will work only in movie mode), choose what exactly the main and the sub-command dials will do and a lot more things that you’d expect to find on a mid-range DSLR that tries to blur the line between a flagship and prosumer camera (the D7500 is certainly one of the finest examples of a devices that manage to do it very successfully). Now, let us take a look at what this rather capable DSLR has to offer in terms of all the functions related to wireless communication, a category that a modern camera is required to excel if it wants to bring the attention of a mainstream audience. All of the operation done on the D7500 that has to do with Wi-Fi is done via the SnapBridge application (available for both Android and iOS users) and the smart device of your choice (either a smartphone or a tablet). After you’ve followed the necessary steps to pair your camera with your smartphone you’ll be able to enjoy a multitude of different features; transfer your photos, shoot remotely while also controlling a lot of different settings and parameters (like main shooting modes, ISO, Aperture, White Balance, Shutter Speed and Exposure Compensation), make use of all the location data gathered by one of your smart devices and include it in your photos, synchronize the camera clock and also imprint your images with different data like time of recording, comments, copyright information, logos and so on. It’s also important to mention that the Bluetooth LE technology will allow you to save on battery power (as well as the power-saving mode built into the SnapBridge itself) and your photos will also be uploaded automatically to your smartphone or a tablet since SnapBridge will initiate the transfer even if your camera is powered down or your smart device is inside a bag or a pocket. You’ll also be able to upload an unlimited number of 2-megapixel photos on Nikon’s Image Space cloud service just be registering an account, which will be very useful for those that plan to upload their images mostly on social networks where resolution isn’t something you’ll need to worry about because of all the compression applied on most of those websites. So, it’s all a rather complete package of useful features and we are left with no reasons to complain about any of them (as is the case with the majority of things related to the Nikon D7500 that fall inside this particular part of our review). So far, we are dealing with a very solidly built DSLR that doesn’t disappoint in a way when it comes to its design, user interface and wireless communication and it more than justifies its price point and the place it has in Nikon’s lineup of cameras. 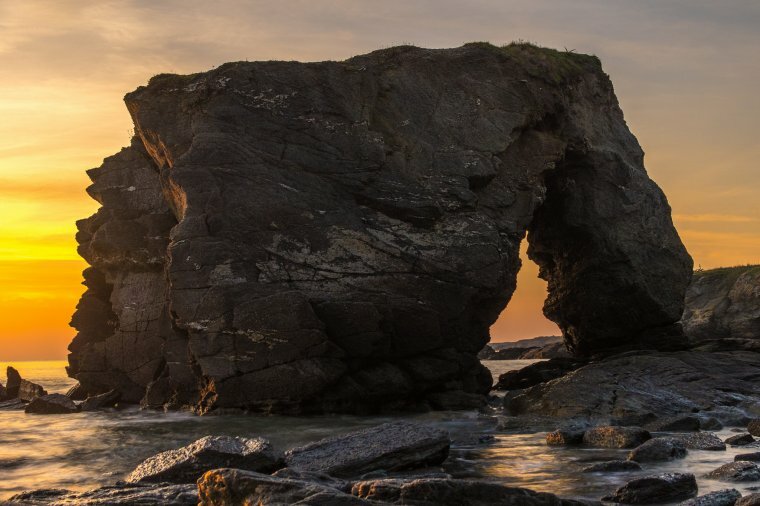 With each new iteration of their D7xxx series of cameras, Nikon has improved the AF capabilities and general performance and the same holds true with the D7500 as well. It is the most capable camera in the lineup yet and finally the one that comes very close to performing on the same level as one of the high-end flagship devices on the market. While the 51-point phase detect AF system is no different than the one built inside the D7200 the addition of the metering sensor found on the more expensive D500 DSLR has made it noticeably more capable to cope with more demanding shooting scenarios like low light photography and fast moving action. Not that the older model performed badly in any of those but the D7500 does take the entire lineup one step closer from becoming a preferred choice for many photographers that need a high-performance tool that will allow them to earn for their living without their gear getting in their way but don’t feel the need to spend a very large sum of money to acquire one of the flagship models (those types of cameras do tend to be one of the most expensive devices on the market). 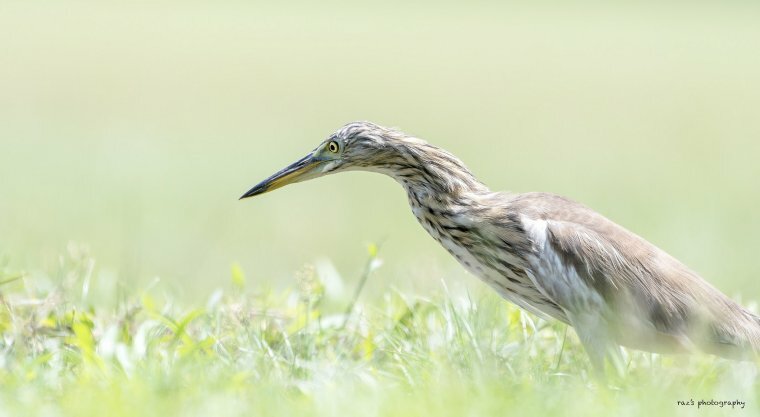 So, no matter if you’re shooting still or moving subjects, you can expect to get a very high number of perfectly focused shots with the help of a camera such as the D7500 and nothing but the user error should stop you from successfully tackling any kind of photography that comes to your mind. Now, let us move on to all the different focusing modes that will be available at your disposal if you decide that this DSLR is the right camera for you. There are three of the main modes to choose from: AF-S (this Single-servo AF will allow you to capture any kind of still subjects with ease), AF-C (a Continuous-servo AF mode that is especially useful for moving subjects since it will focus continuously as long as you keep pressing the shutter button halfway and also enable the predictive tracking technology if it detects any kind of moving subjects) and the AF-C mode, which is a combination of both the Single and Continuous AF mode and allows the camera to automatically switch between the two depending on the type of subject in your frame. You’ll get an even broader choice of AF-Area Modes: Single-point AF (this mode will allow you to pick one focus point and focus ones with each press of the shutter button), Dynamic-area AF (it’s split between 9-point, 21-point and the 51-point areas and will allow you to take photos of different types of moving subjects), 3D-tracking (one of Nikon’s trademark modes that will help you immensely when it comes to those subjects that move in an unpredictable manner or would otherwise require you to move your camera to keep them in focus), Group-area AF (this one will allow you to pick a group of focus points and shoot those subjects that are hard to focus on with a single point) and the Auto-area AF (a mode that leaves it up to the camera itself to assess your current situation and choose one of those AF-Area Modes accordingly), but also some of them only reserved for shooting in live view and these are the Face-priority AF, Wide-area AF, Normal-area AF and the Subject-tracking AF (since the focusing performance in live view is nothing to write home about we won’t bother with describing those in any particular detail). Of course, manual focus is also available but you won’t find any fancy features here like focus peaking or split prisms to help you out since that is still one of those areas ruled by mirrorless camera, since DLSR manufacturers (with the exception of Pentax) are still slow in catching up to everything the mirrorless devices are capable of and thus the D7500 bigger strength is definitely the automatic focusing. It is a very important thing to note of since it goes hand in hand with this camera’s ability to capture a lot of photos in rapid succession as it certainly has the horsepower needed to support its fast 8 fps continuous shooting speed. 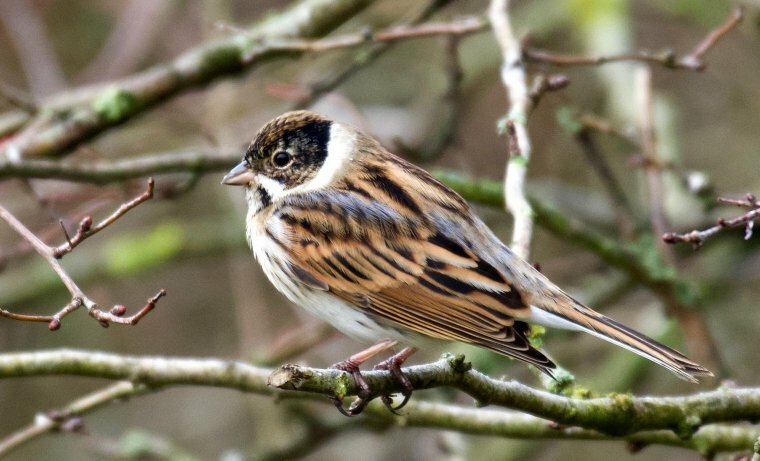 Its best performance comes out when it comes to JPEG images as it will give you an impressive buffer depth of 100 files, but it even handles RAW photos in a commendable way since it can handle almost 50 of them in one go (this number can also climb to 100 if you enable the 1.3x crop mode). It even manages to clear its buffer in a respectable amount of time; 10 seconds for a full array of JPEG and 15 seconds for RAW files). Do keep in mind that you’ll need a very fast SD card to achieve these results but getting on or two is certainly not a particularly big investment in these modern times (it’s a shame that there aren’t two of them on this camera, since a feature like that would cement its position as a great sports option even more). In the end, we need to examine the battery life. The endurance rating of 950 shots is lower than the 1100 shot rating of the D7200 but that’s still very good performance in its own right (especially when you consider the fact that you’re dealing with such a high-performance camera and that its competitors of the mirrorless variety can’t touch its battery life). You won’t need to bother with carrying around a spare battery pack if you’re mostly a stills shooter that doesn’t speed a lot of time in live view mode and we would recommend getting an additional one only if you plan to record a lot of videos (especially if they are captured in 4K resolution). The Nikon D7500 is certainly a terrific performer in all the important areas and a great value for money for those photographers that want both the speed and the great image quality in one package that won’t cost you an arm and a leg to become a part of your arsenal. It’s true that Nikon cameras aren’t always the first choice of many serious videographers when it comes to choosing a new camera and there’s certainly a lot of valid reasons why that was the case. In a way, it’s still the truth, but things have changed a lot since the first Nikon DSLRs with built-in movie modes started reaching the market and the company is slowly closing in on the most capable video production cameras that are very highly regarded among professionals (at least when it comes to hybrid ones, meaning those that can be used both for taking photos and capturing videos). The D7500 is a showcase of Nikon’s willingness to make the movie mode on their DSLRs better than it ever was, even though there’s still room for improvement to be made for it to reach the levels of the best cameras on the market. The addition of 4K recording is the biggest step the company could have made for them to be taken much more seriously by more advanced users, but those will also have to accept the additional 1.5x crop factor that’s being applied to the footage itself. Whether this will make working with your camera a joy or a pain depends sorely on your shooting preferences; landscape videographers will probably want to remain in the 1080p mode since they will find it very hard to get very wide field of view to make the entire scenery fit inside the frame, while wildlife and sports shooters will certainly appreciate having noticeably more reach for free and without having to crop in their footage (and lose precious resolution) in post-processing. The very positive thing to say about the D7500’s footage regardless of the resolution it’s being recorded at is that it’s of very good quality and that the majority of professionals should be very pleased with the end result they will get after a long day of recording (even if they like to apply any kind of corrections in their favorite editing programs thanks to the included Flat picture profile). They should also be happy with their sound quality because both the microphone and headphone jacks are included and so is a pair of decent built-in stereo microphones and also with all the available exposure adjustments (a full manual mode and also the Zebra patterns). The electronic VR (digital image stabilization) is also available and decently effective when it comes to canceling out the effects of a handshake but unfortunately, it’s only available in 1080p mode and won’t replace hardware-based solutions that many people have probably gotten used to having in their mirrorless cameras. If there’s one thing that stops the Nikon D7500 from being a very compelling device for a lot of enthusiast videographers out there it has to be its focusing performance during recording. While it performs exceptionally well for stills photography where most users will rely on the AF system tied in with the viewfinder, the included old school contrast detect solution that’s here to take care of all the focusing done in live view just isn’t capable enough to provide consistent and fast continuous focusing performance that you could rely on for any kind of critical work. Focusing manually is the only way to get pleasantly focused videos in any situation that includes moving subjects but getting great looking results will also take some time and effort because of the lack of Focus Peaking. The bottom line is, if you’re planning to purchase the D7500 mainly for its stills capabilities and you just want to have some additional fun with video recording, then you probably won’t be bothered by any of less impressive aspects of the entire movie making package that this camera has to offer. The D7500 becomes a harder recommendation if we switch our attention to more serious users and it is entirely up to them to decide where their priorities lay and if they can find some workarounds for those features that aren’t implemented on a high enough level (since it could be worth it in the end for the high-quality videos they’ll be able to get out of this DSLR). There’s always one thing that sheds a bright light of positivity on Nikon DSLRs in our camera articles (and it’s also very beneficial to them that it all takes part in the second last category if you include the conclusions) and that is our talk about the quality of the photos they are able to produce. Even if you decide to revisit the past and get your mind back in those times when cameras such as the D90, D300s or the D700 where all the rage you will always find one thing that all of those products had in common in the eyes of reviewers and that is their top of the line stills capabilities. Some other manufactures may have implemented other features in a better way than Nikon did in those days, but not a lot of them could compare with the raw image quality the Nikon was able to produce (especially in the hands of professional photographers). The D7500 builds very well on company’s legacy and brings an AA filter free 24-megapixel APS-C sensor that does wonders in everything from low light and high contrast scenes (thanks to very good noise performance and extreme dynamic range). You will also be getting pleasant looking JPEG images that aren’t overly processed in any way but can also be manipulated within the camera itself thanks to the inclusion of different Special Effects (like Night Vision, Super Vivid, Miniature Effect, Selective Color and so on) as well as the Image Enhancement tools that will be given at your disposal (like the ability to pick one of the predefined ones or adjust parameters like Sharpening, Clarity, Contrast, Brightness, Saturation and Hue by yourself). We love it when any camera company provides us with a product with so little flaws as the Nikon D7500 since it becomes quite an easy job to summarize all of our observations about that particular device into one small and straightforward paragraph. It’s easy to recommend this camera to any kind of photographer that wants a DSLR with an APS-C sensor that’s fast, built up to very high standards and produces lovely pictures but also wants to save up some money for a quality piece of glass instead of investing it in a full frame camera. We would also inspire you to take a look at the D7500 from a standpoint of a semi-professional videographer thanks to its 4K recording, microphone and headphone jacks, picture profiles, touch AF capability and more. There is only one audience that won’t feel completely at home with this camera and that’s the people interested in professional video production and that’s simply because of the fact that Nikon still haven’t managed to completely turn things around when it comes to their usual average at best movie modes on their DSLRs and the D7500 itself is more of a transitional product for the company than a full-fledged package comparable to the most capable cameras out there. This only holds true for video recording as everything else on is covered up to the modern standards set by the current camera market and that is always good to see in a DSLR in these times where mirrorless cameras are slowly replacing their usually bulkier competitors. An amateur photographer, songwriter, musician, computer and technology geek and an occasional comedian, I'm a little bit of everything. I always aim to pursue things I'm passonate about and try to look on the positive side of things whenever I can. My mission is to wrap my articles in that aura of positive energy and keep a healthy balance between being serious about my work and spicing things up with a little fun now and than. After all, life's a game and there's always a different way to play it.